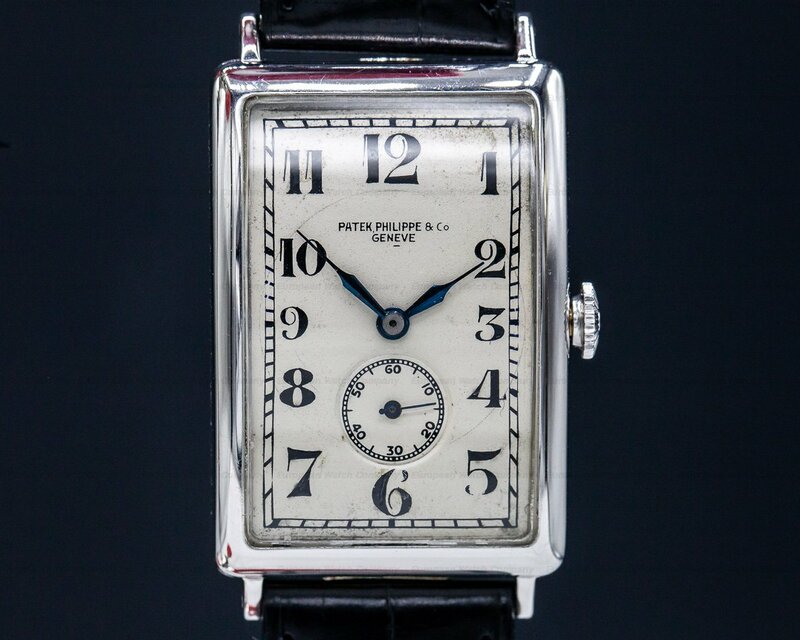 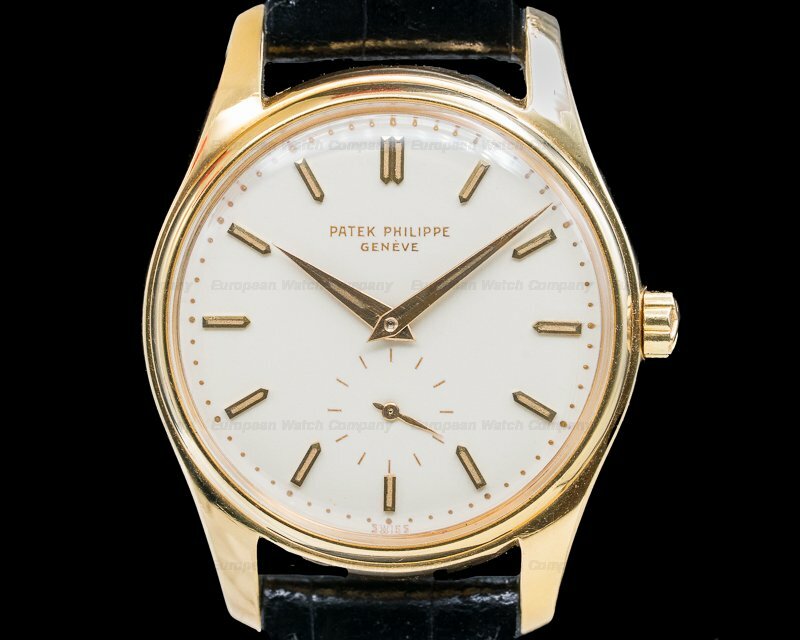 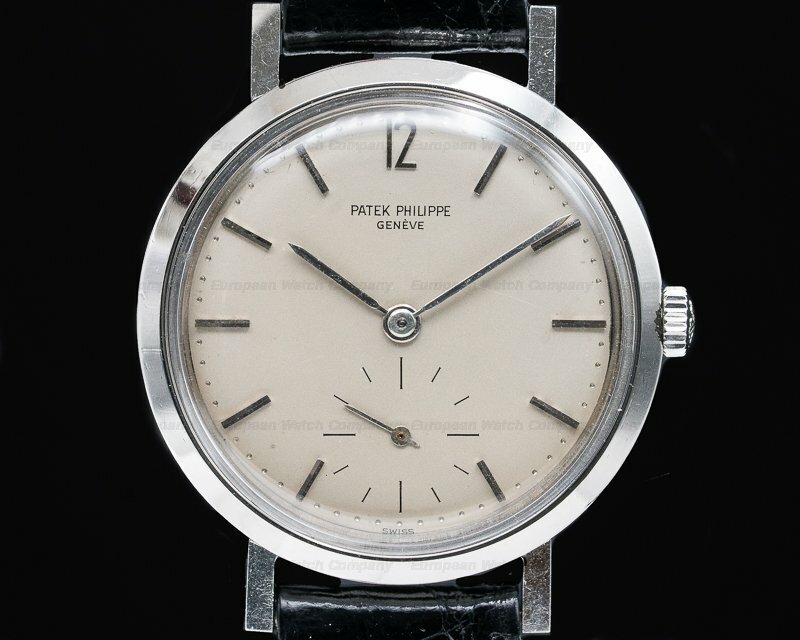 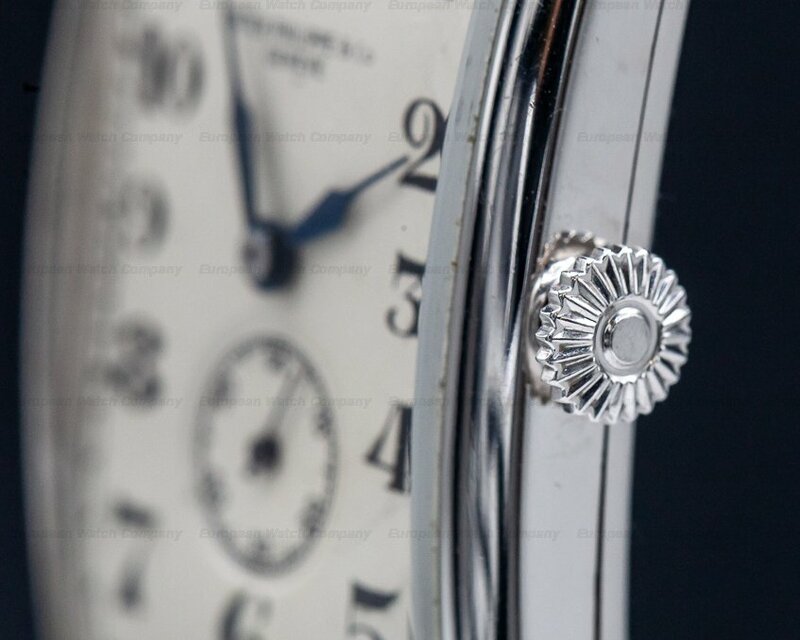 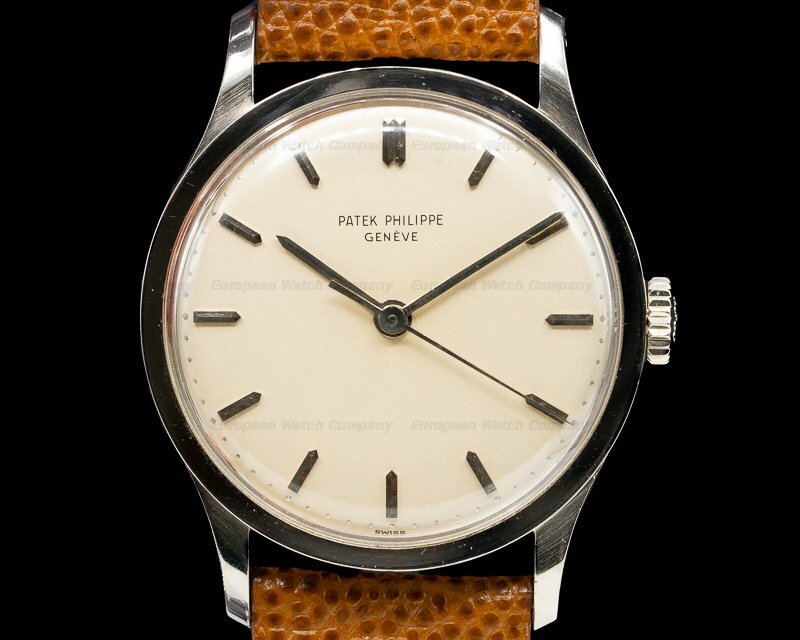 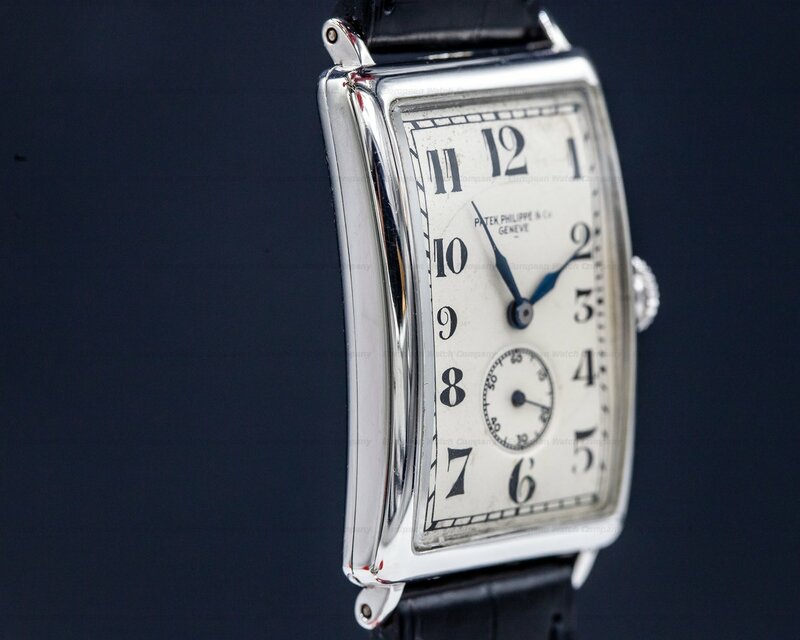 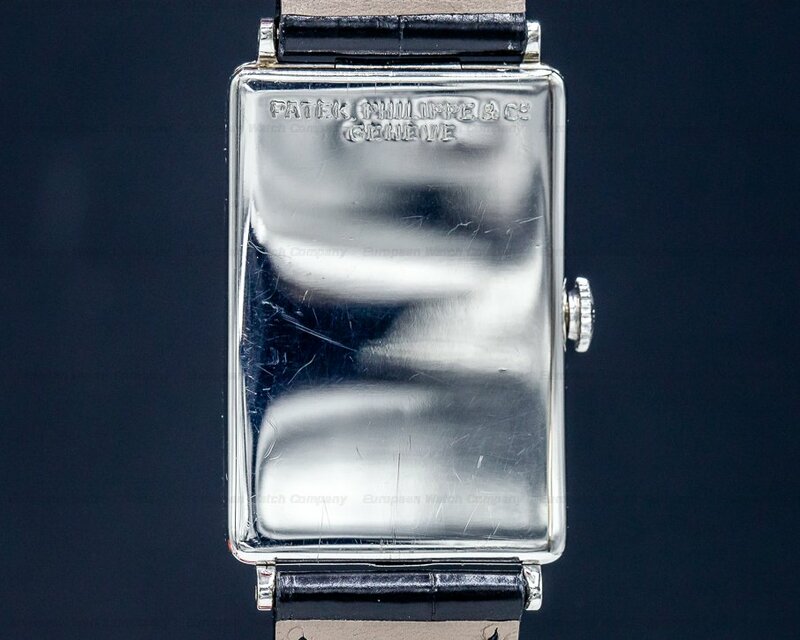 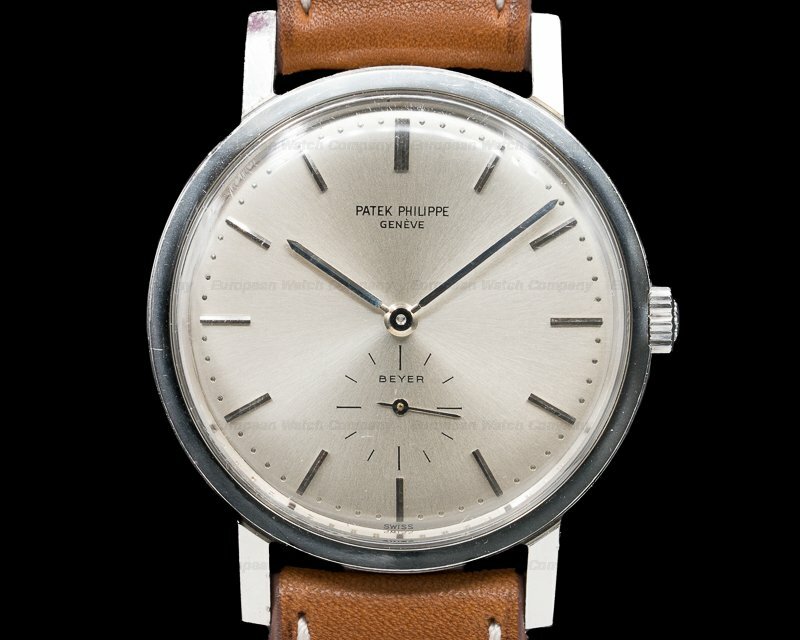 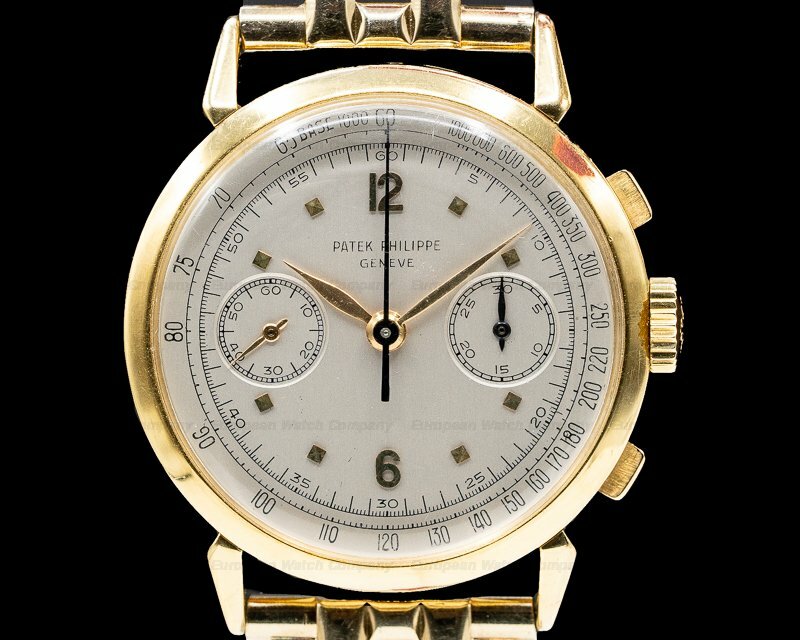 This is a vintage c. 1927 18k white gold Patek Philippe Gondolo. 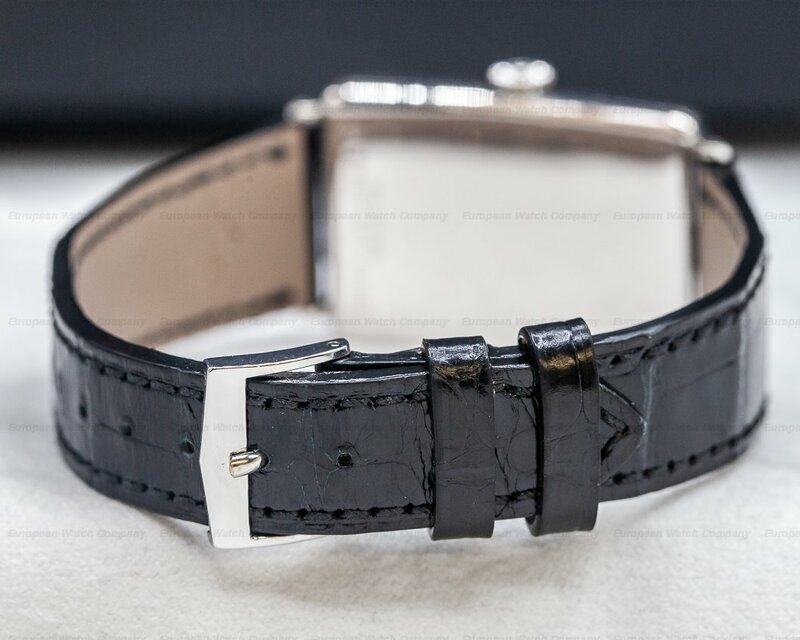 It has a leather strap with an 18k white gold tang buckle, and a curved glass crystal. 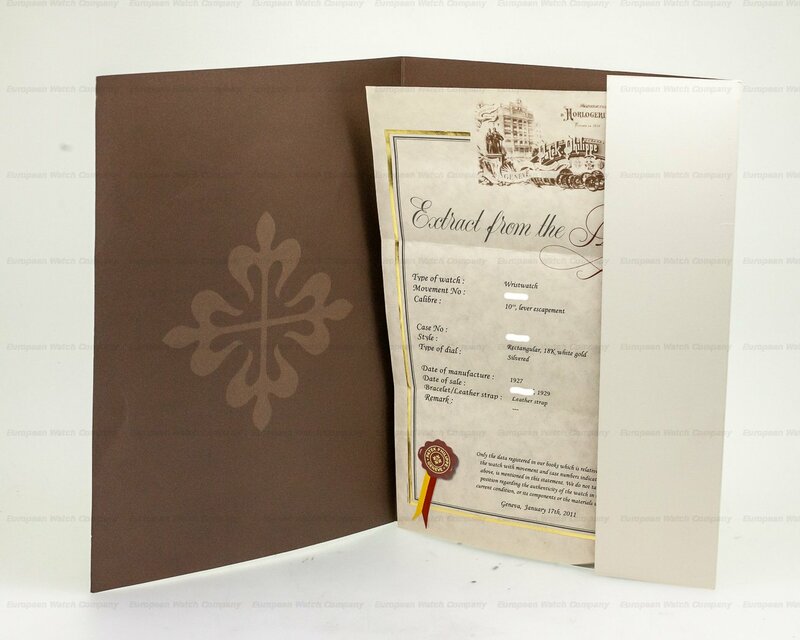 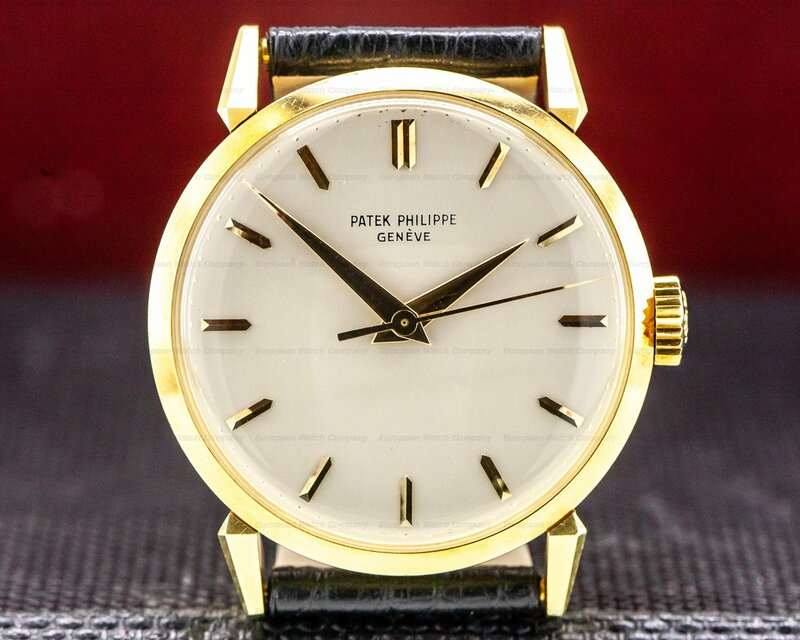 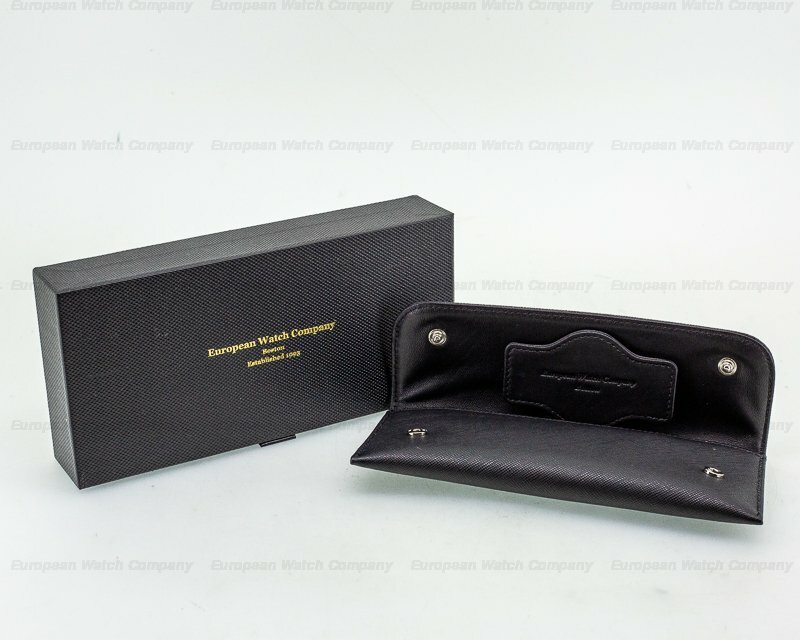 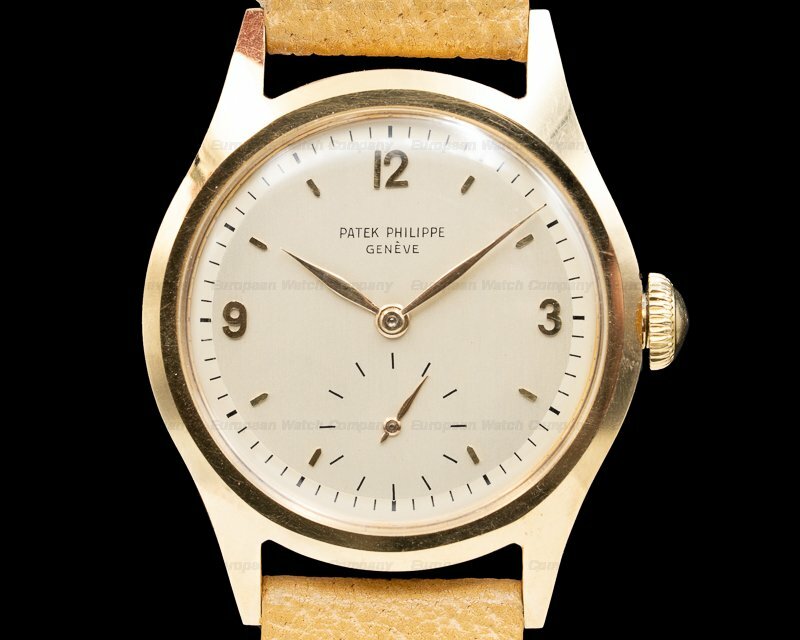 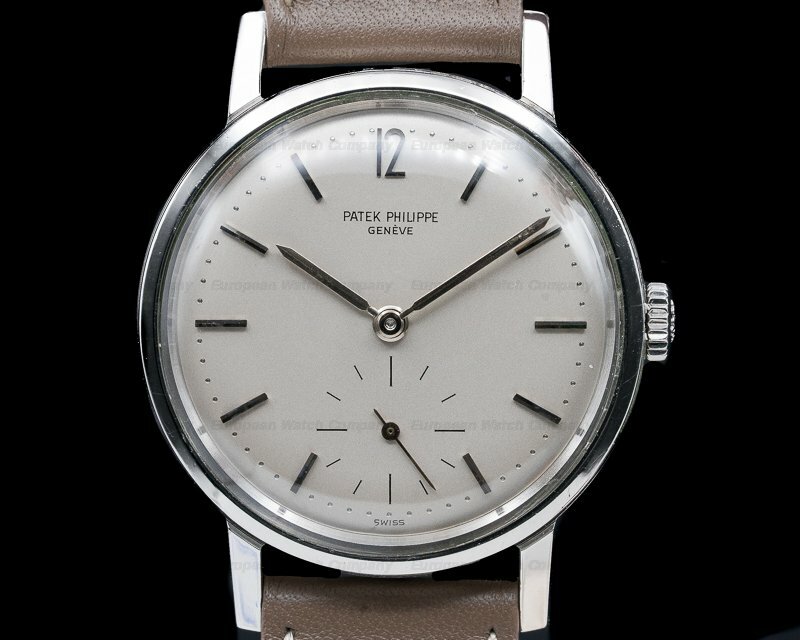 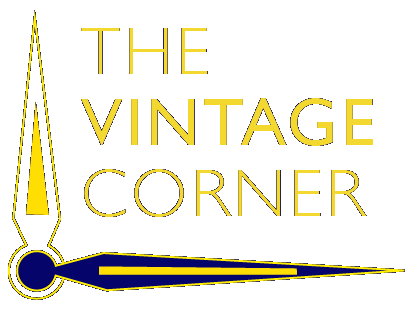 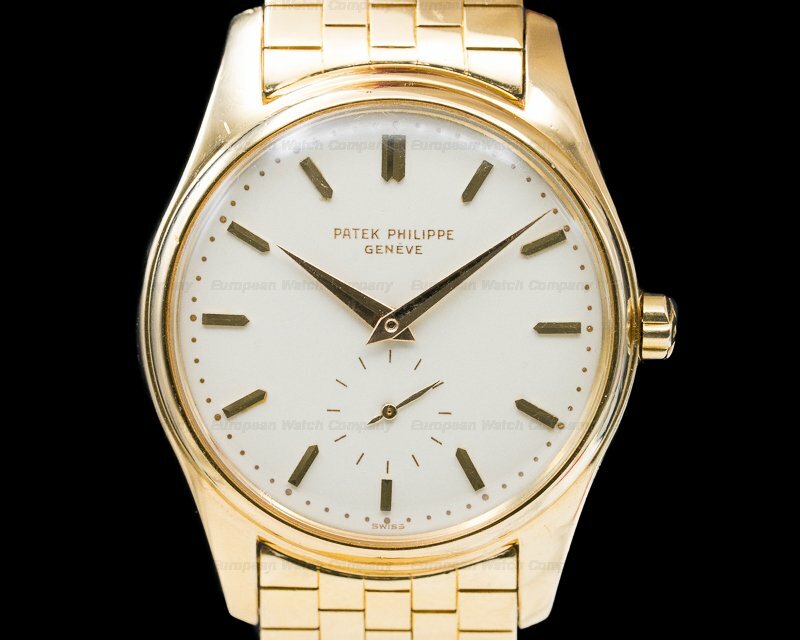 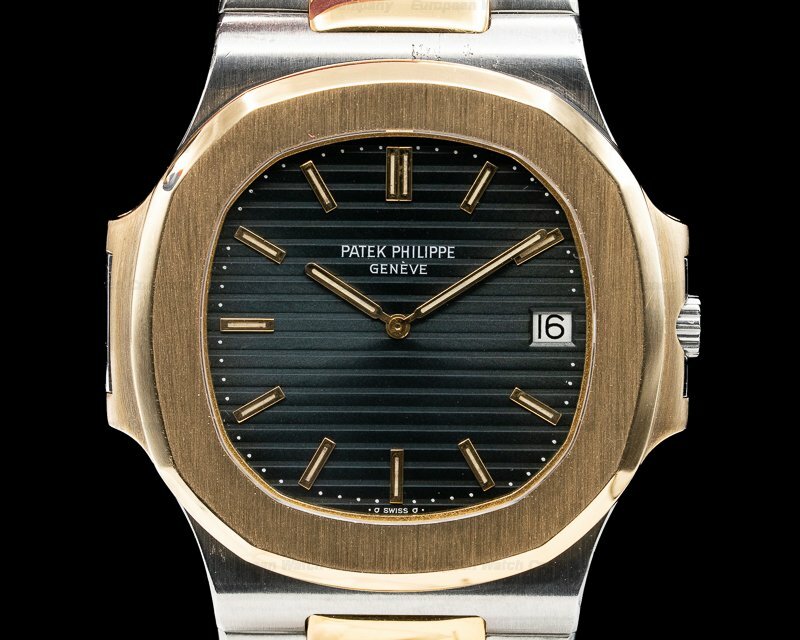 There is a pull out winding crown, and a snap on curved case back, on which is engraved "PATEK PHILIPPE & CO � GENEVE,". 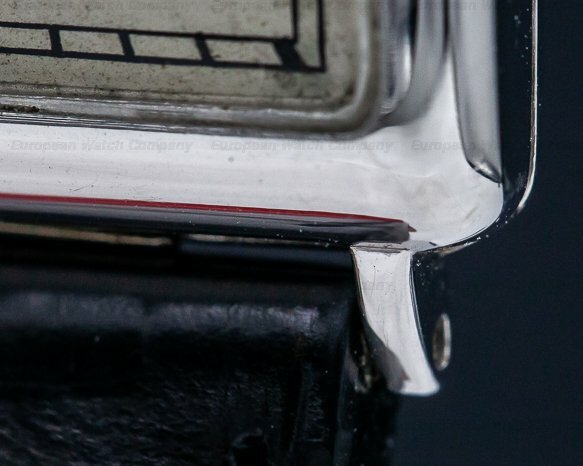 The 25mm x 43mm (including lugs) front-hinged tonneau-shaped two-body case, thin round screwed lugs, and curved rounded bezel are polished. 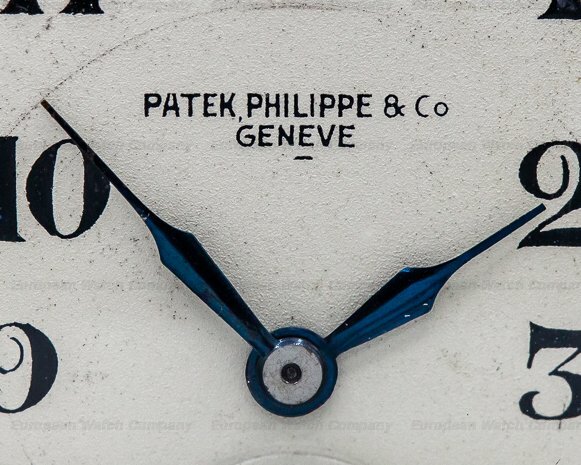 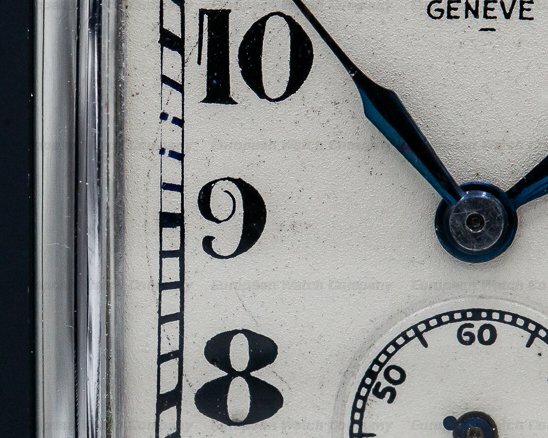 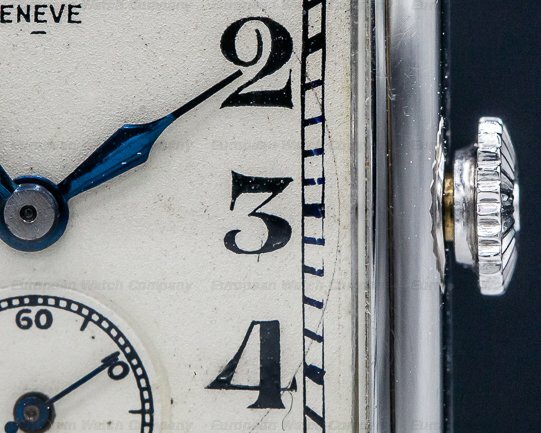 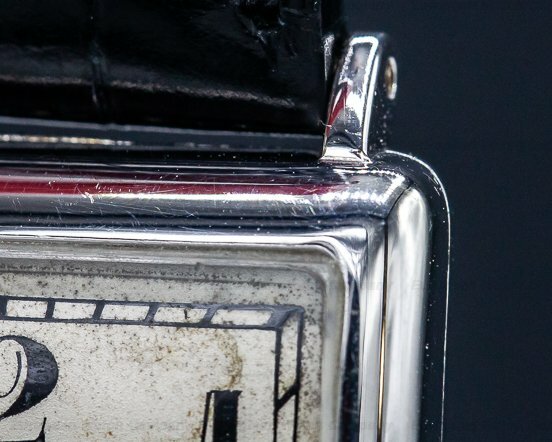 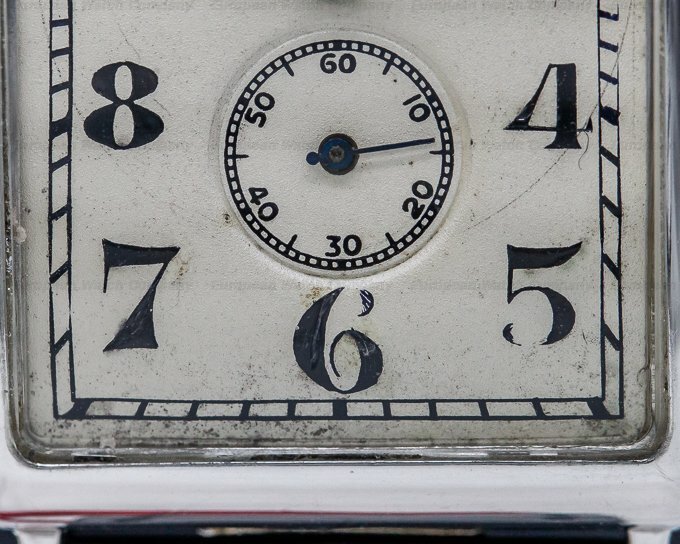 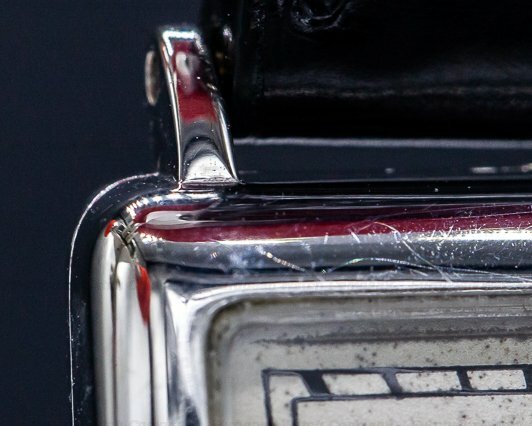 The original dial is silvered with stylized Arabic numeral hour markers and a perimeter railway-style minute scale. 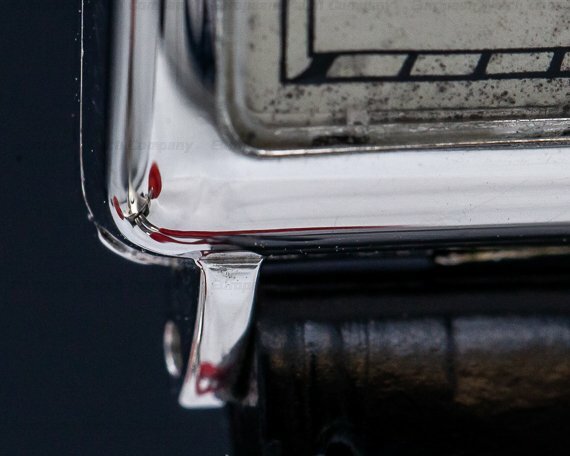 It has syringe style blued steel hands. 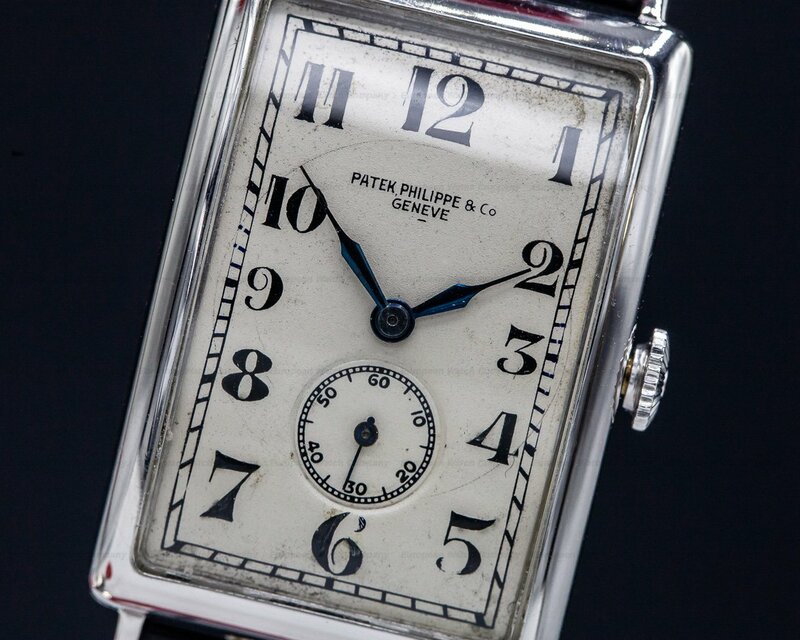 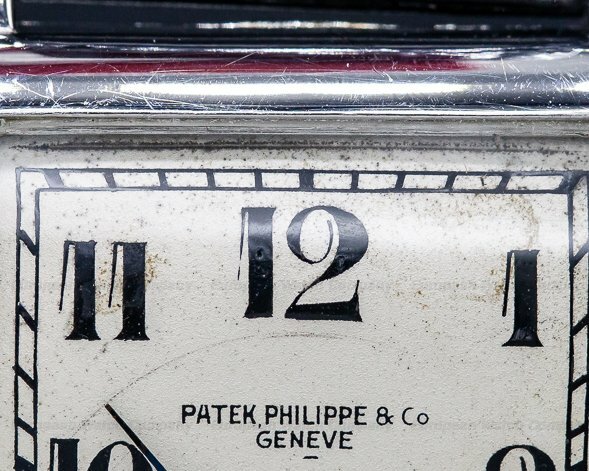 This Patek Philippe Gondolo has a round mechanical manual winding movement. 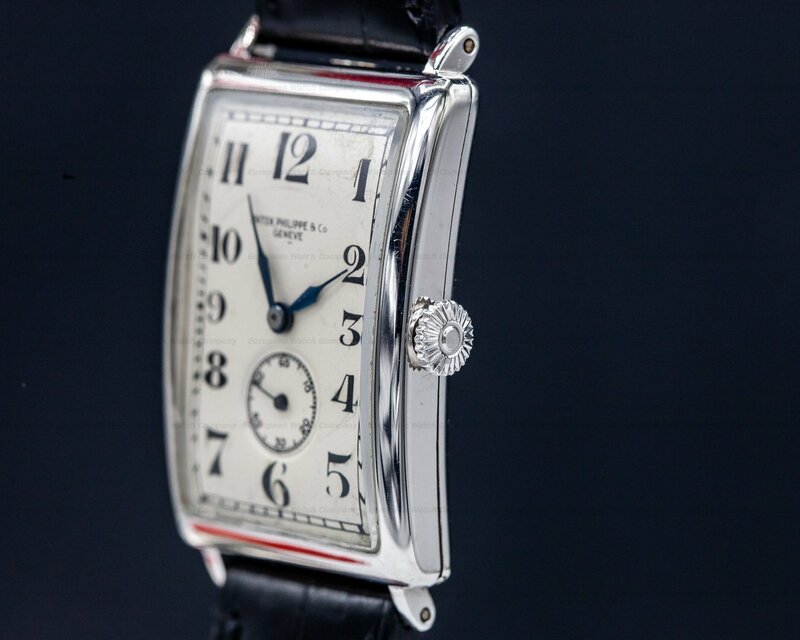 It's rhodium plated with cotes de Geneve embellishment, and it's constructed with 18 jewels, and an index regulator.